This is an enlarged view of a female Culex quinquefasciatus mosquito that had landed upon the skin of a human host, and was extracting its blood meal through its needle-sharp proboscis. You’re able to see from this right anterior-oblique view, her distended, red-colored abdomen, as it became distended with blood. 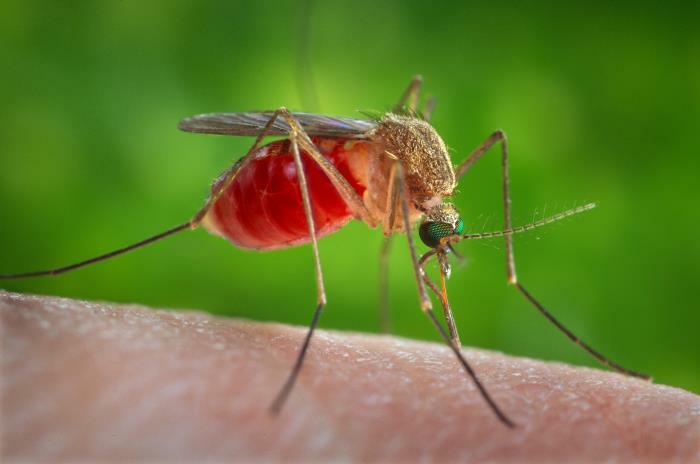 C. quinquefasciatus is known as one of the many arthropodal vectors responsible for spreading the arboviral encephalitis, West Nile virus (WNV) to human beings through their bite.